CHICAGO (WLS) -- Mayor Rahm Emanuel announced Sunday that 319 officers will be taken off desk jobs to patrol beats in every district across Chicago. More officers will be placed in high crime areas, while professionals, including retired officers, will be hired to fill the desk jobs. Emanuel's office did not say Sunday just how much money the plan will cost, but said the civilian employees will work as crossing guard supervisors, nurses, freedom of open information officers and other positions that are now filled by police offices. "While we have made important strides to refocus our resources in the past four years, there are still a number of highly trained police officers doing administrative work," the mayor said in a statement. "So we asked a simple question of officers filling administrative roles: Do you need a gun, a star and arrest powers to do your job?" Since Emanuel took office in 2011, the police department under Superintendent Garry McCarthy has moved other officers from desk jobs to street duty. With Emanuel's blessing and the city's checkbook, tens of millions of dollars have been spent to dispatch officers by the hundreds to work overtime in high-crime neighborhoods, parks and other spots around the city. The results in 2013 and 2014 were promising. After the number of homicides spiked past the 500 mark in 2012, the total dropped to 419 in 2013 and 407 last year. But department statistics show homicides have spiked to 343 so far this year - 57 more than at the same point last year. The number of shooting incidents climbed to 1,753 so far this year, or nearly 300 more than in the same period last year. 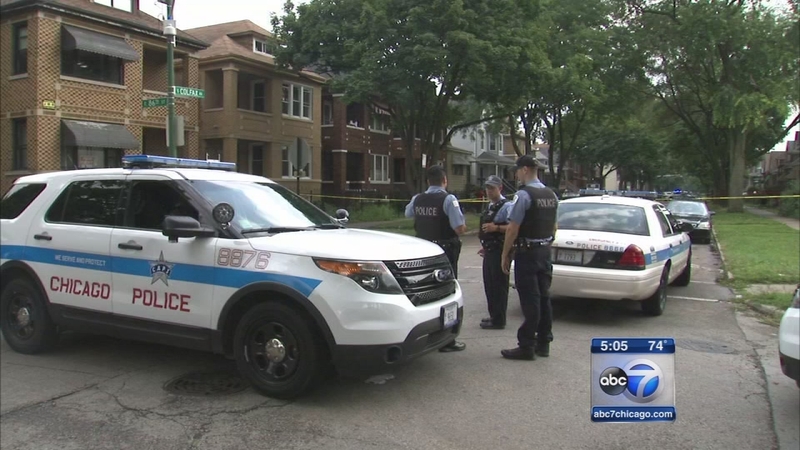 Chicago is one of several U.S. cities, including Houston, New Orleans, Baltimore and Milwaukee, which have seen spikes in the number of homicides. But Chicago has been at the center of the story of gun violence, particularly since homicides climbed past the 500 mark - far higher than the totals reported in the much larger cities of New York and Los Angeles. Funding for the new hires is included in the city's 2016 budget, which will be released Tuesday.